Earlier this month Decatur placed 114 "sharrows," or large bicycle symbols with arrows painted on the street, on Ponce de Leon Avenue and Sycamore Drive. "It's another form of signage," said city planning director Amanda Thompson. "It reminds cars they are sharing the lane with bicycles and that they need to give them three feet of space when passing." She added these two streets were chosen for their wide variety of uses and important connections to other city streets. Total cost was $2,850, and Thompson said that over time Decatur will continue adding sharrows. 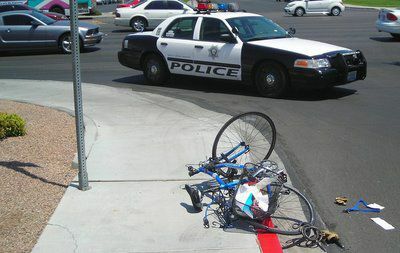 The accident injury lawyers at Kalka & Baer expect increased motor vehicle citations and safer protection for cyclists and riders. The newly enacted 3-foot safe harbor ordinance will increase driver awareness and rider safety.